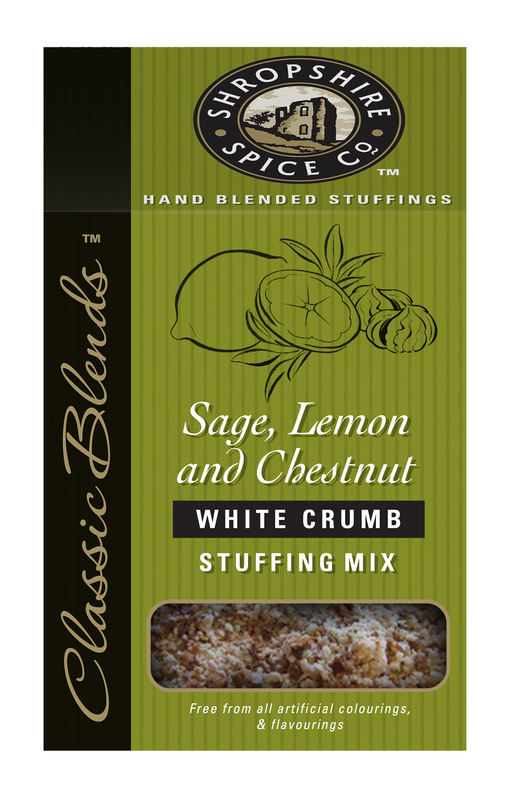 Why not try our white crumb stuffing mix we have 4 different flavours which are below. Parsley & Thyme white crumb stuffing mix is perfect with all types of poultry, pork and game. 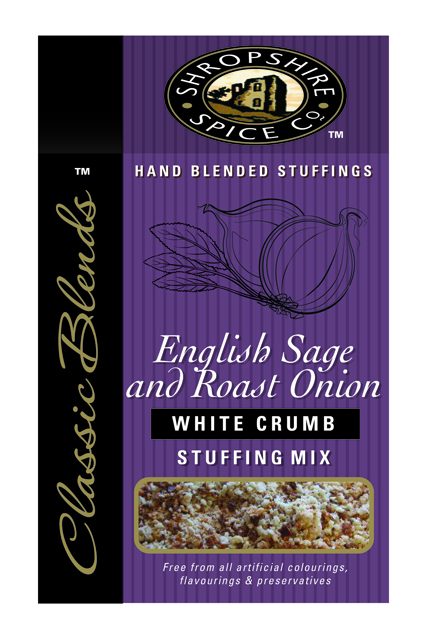 Ingredients: White Breadcrumbs (Fortified Wheat Flour [Wheat Flour, Calcium Carbonate, Iron, Niacin, Thiamin] Salt, Yeast), Ciabatta Breadcrumb (Fortified Wheat Flour [Wheat Flour, Calcium Carbonate, Iron, Niacin, Thiamin], Extra Virgin Olive Oil, Salt, Yeast), Onion Flake, Roasted Onion Flake, Demerara Sugar, Parsley, Thyme, Garlic Granules, Onion Salt. 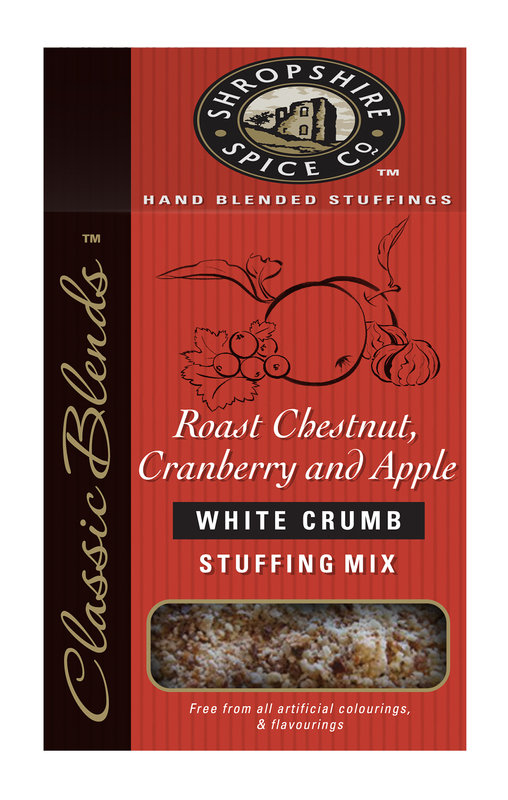 Roast Chestnut, Cranberry & Apple white crumb stuffing mix is ideal with chicken, pork or turkey. Ingredients: White Breadcrumbs (Fortified Wheat Flour [Wheat Flour, Calcium Carbonate, Iron, Niacin, Thiamin] Salt, Yeast), Ciabatta Breadcrumb (Fortified Wheat Flour [Wheat Flour, Calcium Carbonate, Iron, Niacin, Thiamin], Extra Virgin Olive Oil, Salt, Yeast), Roasted Chestnut, Whole Cranberries (Glucose Syrup, Sunflower Oil), Red Apple (Preservative: Sodium Metabisulphite), Roasted Onion Flake, Onion Flake, Rosemary, Yeast Powder, Onion Salt.